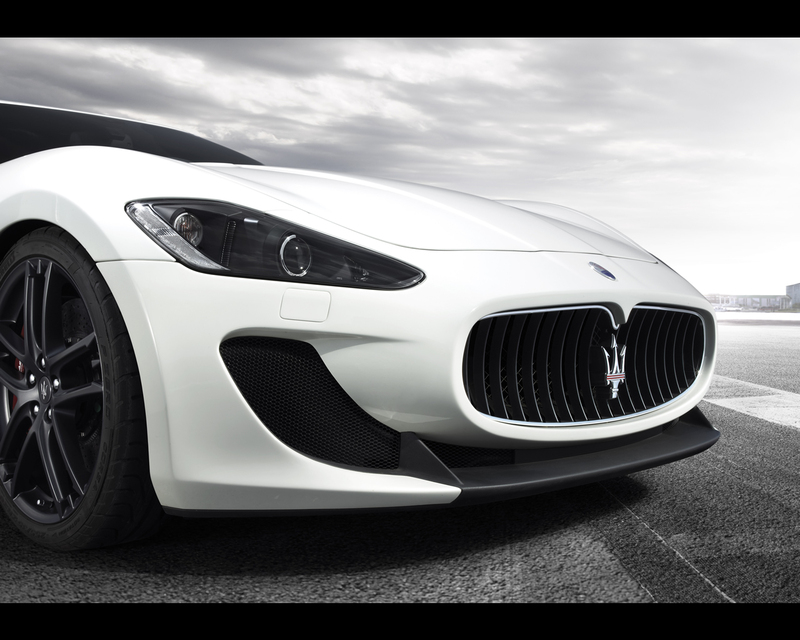 The new Maserati GranTurismo MC Stradale will be the fastest, lightest and most powerful car in the Maserati model line-up when it goes on sale in the first quarter of 2011. Inspired by the Trofeo GranTurismo MC and the race-winning GT4 motorsport programs, the Maserati GranTurismo MC Stradale will have more power, less weight, razor-sharp handling and a 301km/h top speed. With 336kW (450 horsepower), it has more power (13kW, 10hp) from the 4.7-litre V8 engine than the GranTurismo S, while its 510Nm of torque is a further 20Nm improvement. 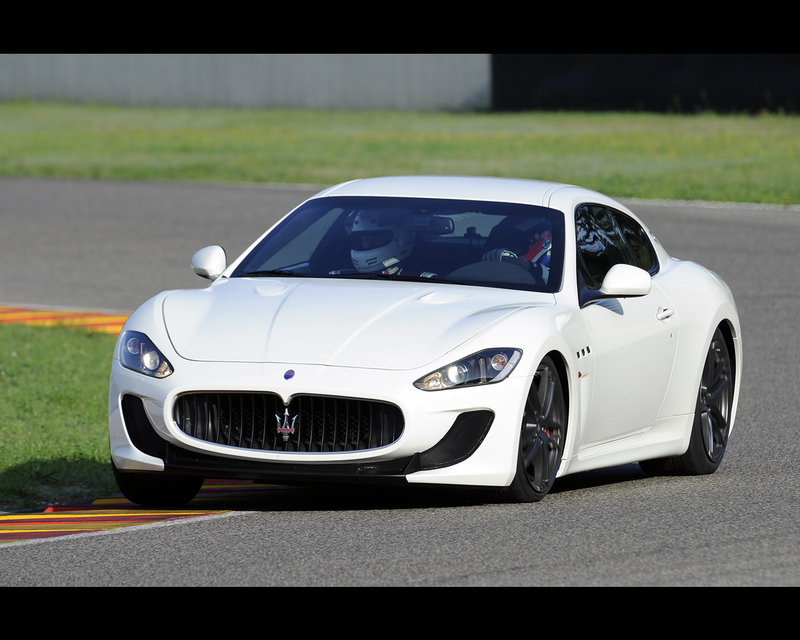 This helps to slash the 0-100km/h sprint time, which the Maserati GranTurismo MC Stradale covers in just 4.6 seconds, and stretches the top speed to 301km/h. 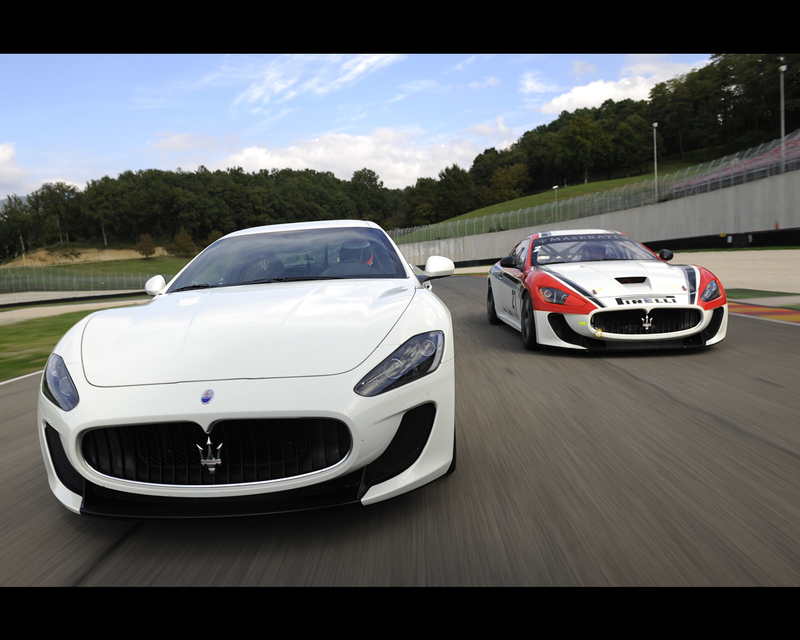 Its race-bred heritage is highlighted by a 110kg weight reduction from the GranTurismo S, down to 1770kg. It mirrors the advantages Maserati has in racing by retaining the optimal 48.5 : 51.5 weight distribution to ensure handling balance and even tyre wear. It uses advanced electronics to slash gear-shift times from the upgraded MC Race Shift electroactuated transaxle gearbox to just 60 milliseconds. The relationship between weight and performance has been nurtured at Maserati for more than 90 years, but few production models before it have been as aggressively lightened as the GranTurismo MC Stradale. 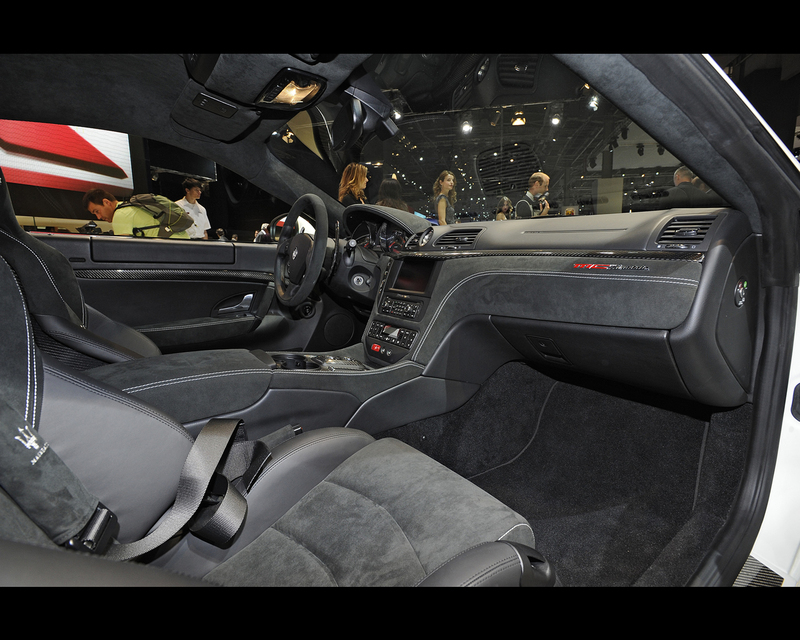 One obvious source of weight reduction has been the removal of the rear seats to turn the four-seat GranTurismo S into a two-seat super sports car, but this was as much to emphasize its driver-focused nature as it was about weight reduction. Maserati’s engineers have achieved this, by balancing the weight reduction for the GranTurismo MC Stradale’s front and rear axles and one of the biggest weight savings has come from the addition of stiff, light-weight racing front seats. 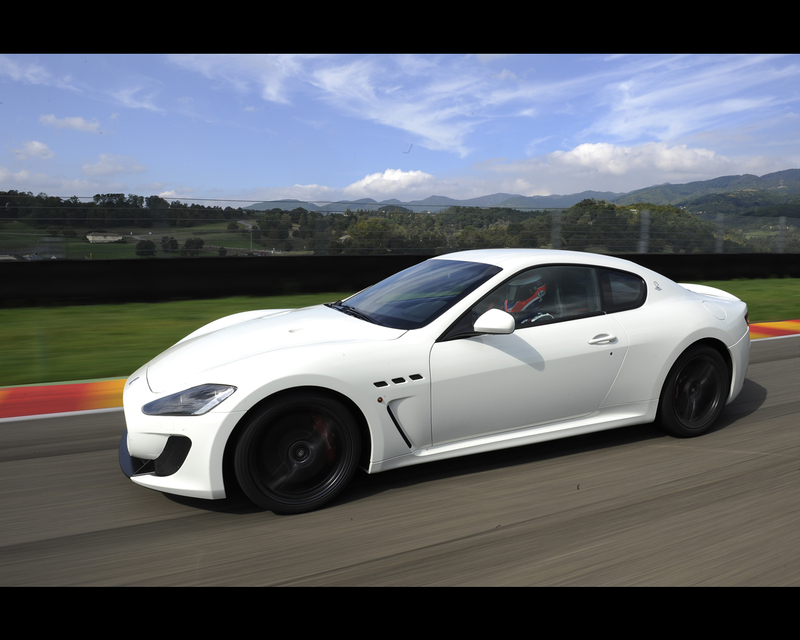 GranTurismo S as well. 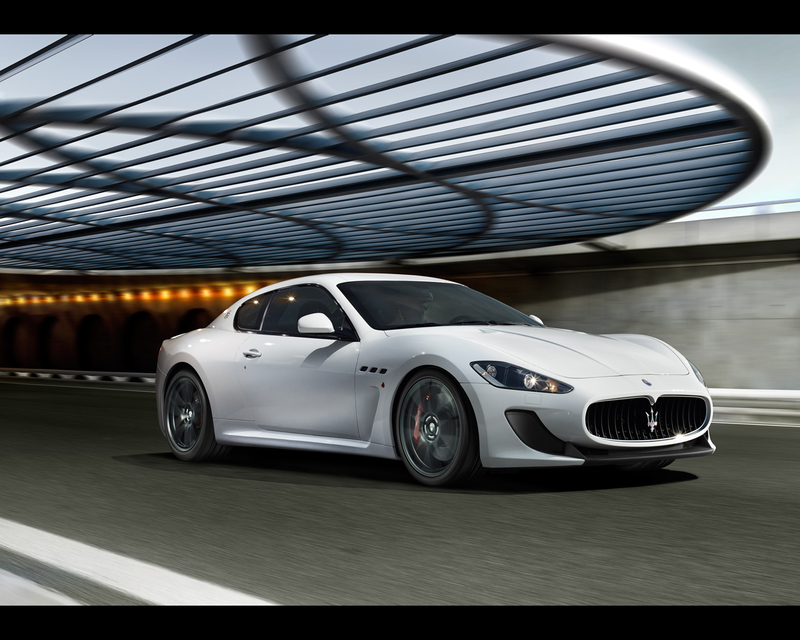 The GranTurismo MC Stradale also has specific, lighter flow-formed 20-inch alloy wheels. improvement versus the GranTurismo S. There is also more torque, with a 20Nm jump from the GranTurismo’s strong 490Nm to 510Nm at 4750rpm, with a thicker torque curve at lower rpm. Most of the improvements have come from the “Low Friction Program”, which involved the redesign of the oil sump’s fluid dynamics and Diamond-Like Coating of the tappets and the camshaft lobes. The result is an engine that is both more powerful and fuel efficient, with correspondingly lower emissions. 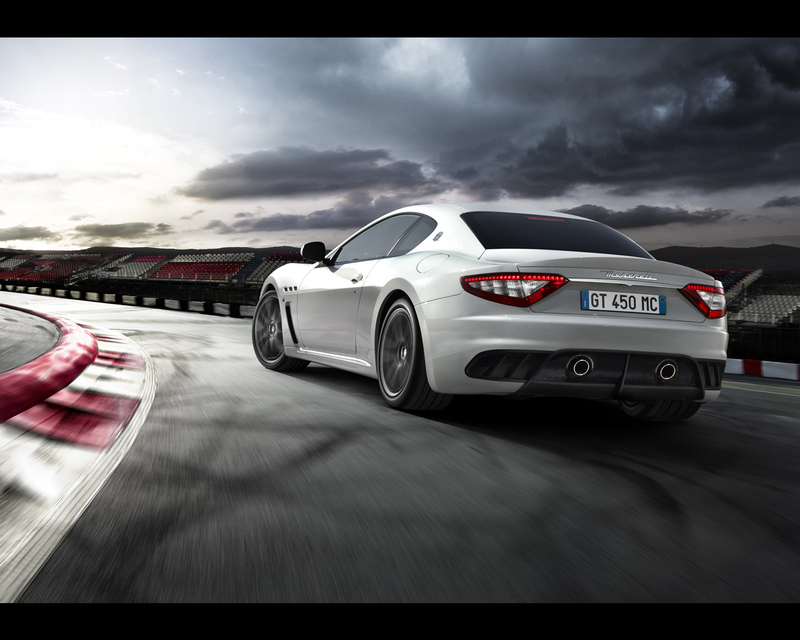 Braking breakthroughs are something of a tradition at Maserati, and the GranTurismo MC Stradale continues the trend. Where the Quattroporte and GranTurismo both pioneered the use of dual-cast braking technology, the GranTurismo MC Stradale is the first volume production Maserati to use carbon-ceramic brakes as standard equipment. These brakes are both lighter and more-powerful than the brakes on the GranTurismo S, to reflect the higher demands of track-based work. They are also designed to operate effectively for lap after lap of the world’s most demanding race tracks, and the system has been extensively tested at the Nürburgring, Fiorano, Le Castellet (Paul Ricard), Nardò and Balocco. (27mm in diameter, up from 25.4mm) brake master cylinder. caliper. The larger rear discs are 360mm x 32mm, with a four-piston, fixed-piston caliper. 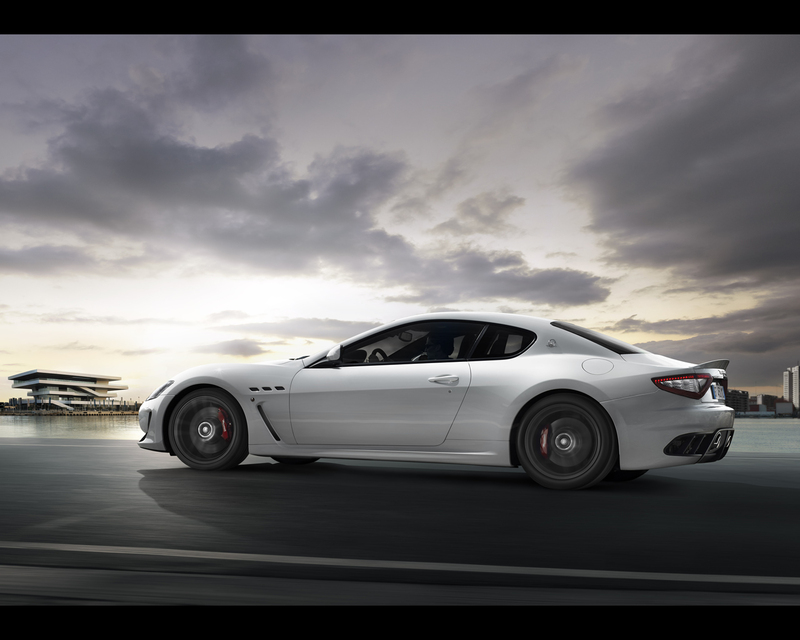 The aerodynamic upgrade on the GranTurismo MC Stradale involves each brake receiving an integral, two-piece cooling system, with ducting taking cool air from the grille and directing it into the centre of the disc. A gate in the trailing edge of the front guard panel then generates a smoother air flow and extracts the hot air from the braking system. been designed to enhance the already-impressive track performance of the GranTurismo S without losing its abilities as a day-to-day car. It also had the front anti-roll bar’s diameter increased to 25mm while increasing the rear anti-roll bar’s diameter to 23mm. Both of these changes were to lower the car’s global roll angle. 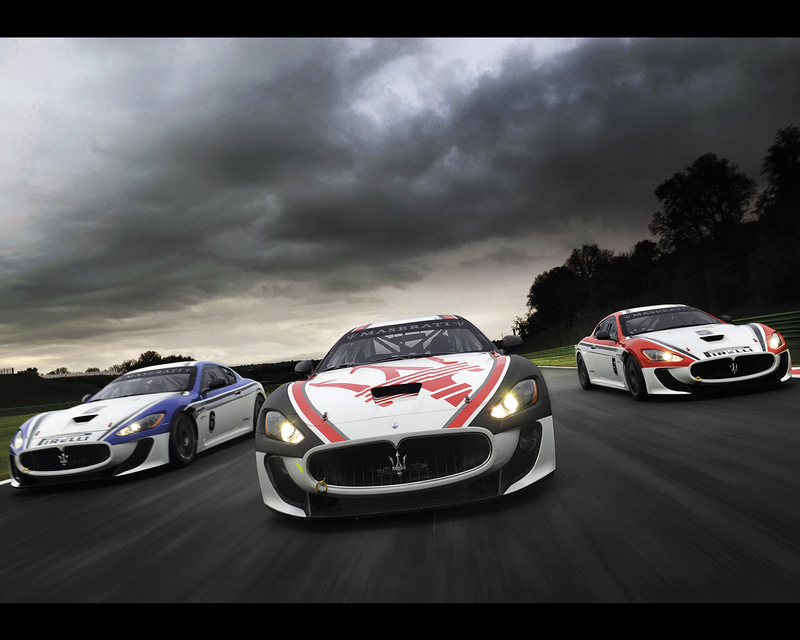 Pirelli – the same company that developed and supplies the tyres for the GranTurismo MC Trofeo. Designed to be at home both on the road and on the track, the 20-inch Pirelli PZero Corsa tyres are slightly wider than the standard tyres on the GranTurismo S and offer even more grip. The new tyres are 255/35 ZR20 at the front and 295/35 ZR20 at the rear. Developed in conjunction with Maserati’s test engineers and based on the experience gained from the Trofeo championship, the new PZero Corsa tyres have been designed to move the handling-comfort balance of the GranTurismo S’s tyres further towards pure handling. The detailed aerodynamic designs even include two hot air extraction outlets in the bonnet. The rear bumper has also been re-profiled, with the exhausts emerging closer to the centre of the car and ducts carved into the bumper to allow underbody airflow to escape. These holes help to stabilize the airflow further away from the rear of the car, which lowers drag. combination for the upholstery, a redesigned instrument cluster and a new human-machine interface are the interior highlights of the GranTurismo MC Stradale. The GranTurismo MC-Stradale seats are focused on high performance, delivering excellent support in all driving conditions and maintaining the GranTurismo’s traditional combination of sporting ability and sumptuous luxury.